Visakhapatnam (or Vizag) is now home to the world's first handicraft hotel and we're all already going ga-ga over it. The hotel and its decor are designed and handcrafted by artisans from Andhra Pradesh and we'll tell you why you should go here. Ever imagined you could stay in a room surrounded by Kalamkari artwork or Etikoppaka toys? 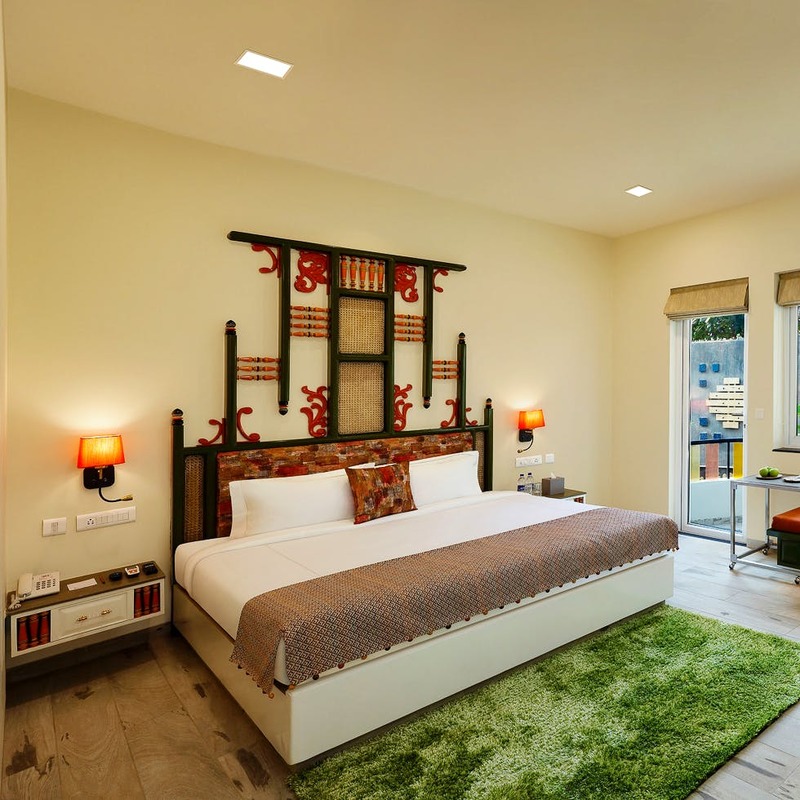 The Palm Beach Hotel in Vizag has opened a new heritage wing — Andhra Arts & Crafts Hotel — with rooms themed and created after traditional art forms of Andhra Pradesh. You will find yourself gawking at the sculptures that are spread across the corridors and lobby. But before you Instagram everything, remember that the rooms behold more beautiful handicrafts. Whether you intend to check into a Tholu Bommalata room or a Brassware room, right from the wardrobes and study tables to washrooms, everything is exclusively handcrafted by award-winning artisans, sculptors, and interior designs. We are loving how the hotel is bringing old school awesomeness back with headboards modeled after Pandirimancham (colonial beds), temple sculptures. In fact, the entire hotel boasts of 70 sculptures and 50 art installations, which can make any art enthusiast go bonkers. As if these aren't enough reasons to fall in love with it, it also has private beach access (all around the clock) and an outdoor swimming pool. With four in-house restaurants sorting your hunger pangs, you can expect a special curation of Andhra cuisine too. And what's not to love? The hotel is gifting every guest a souvenir (handcrafted by Andhra Pradesh's artisans) towards the end of the stay. The booking links haven't opened yet, but you can call them and book your stay. It costs INR 7,500 per night which covers your breakfast too.